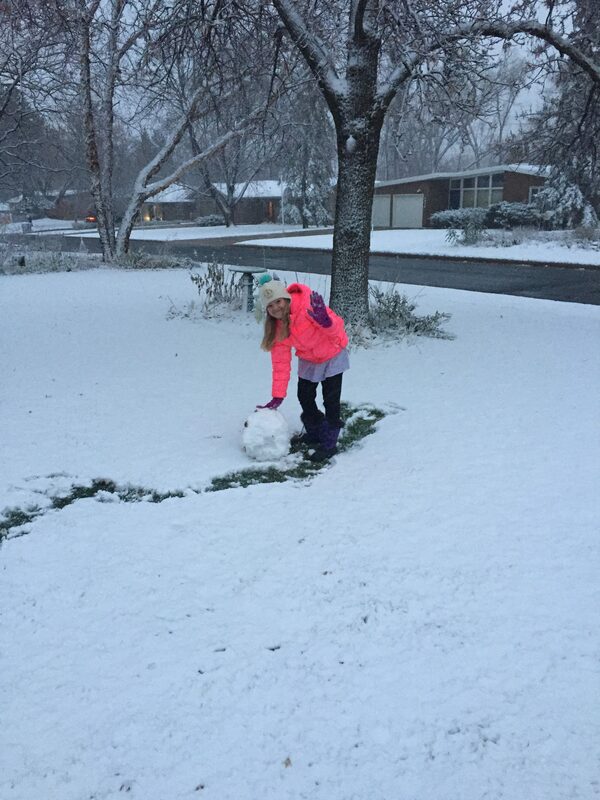 Bless her heart, that girl isn’t going to miss a chance to make a snowman! I love the color of her jacket. You won’t lose her at the mall.